While Trump professes antipathy for US conflicts abroad, the US military in Afghanistan last year was busy dropping the most bombs in at least a decade, reported Military.com. 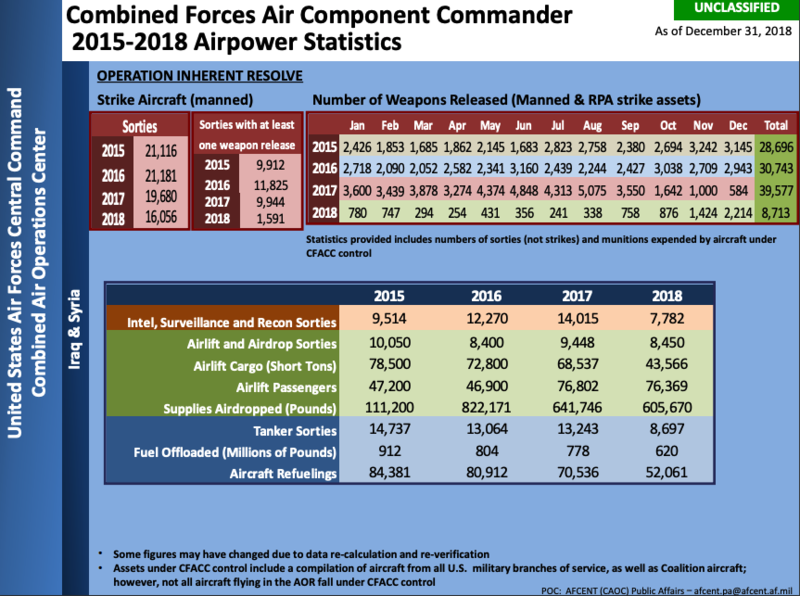 American fighter jets, strategic and stealth bombers, attack aircraft and helicopters, and drones dropped an unprecedented 7,362 bombs in 2018, according to the latest US Air Force Central Command airpower statistics report published last week. For more clarity on just how many bombs were dropped in 2018, the second-highest year on record was 2011, when the US dropped 5,411 bombs during the height of the Operation Enduring Freedom – Afghanistan (2001–14), according to available government figures dating back to 2009. 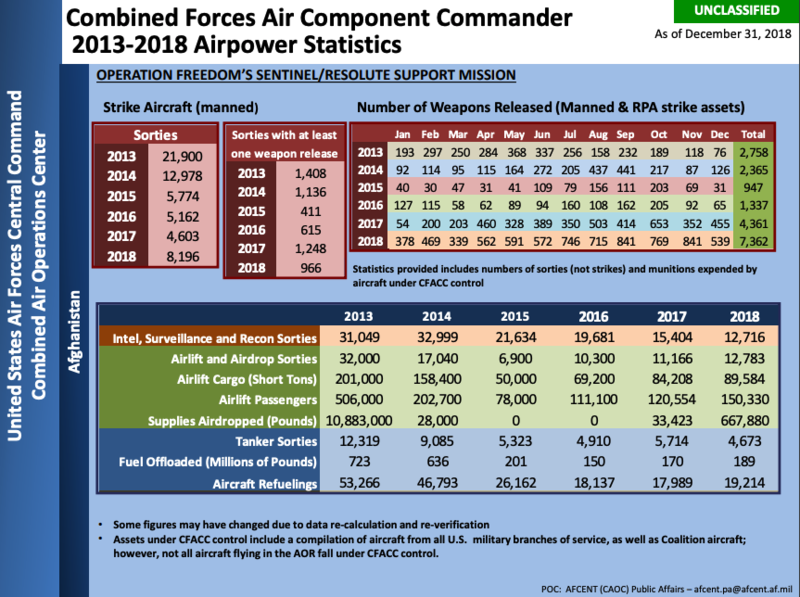 The "Combined Forces Air Component Command 2015-2018 Airpower Statistics" spreadsheet, found within the report, shows a tremendous increase in the "number of weapons released," starting in the September 2018 through the end of the year. 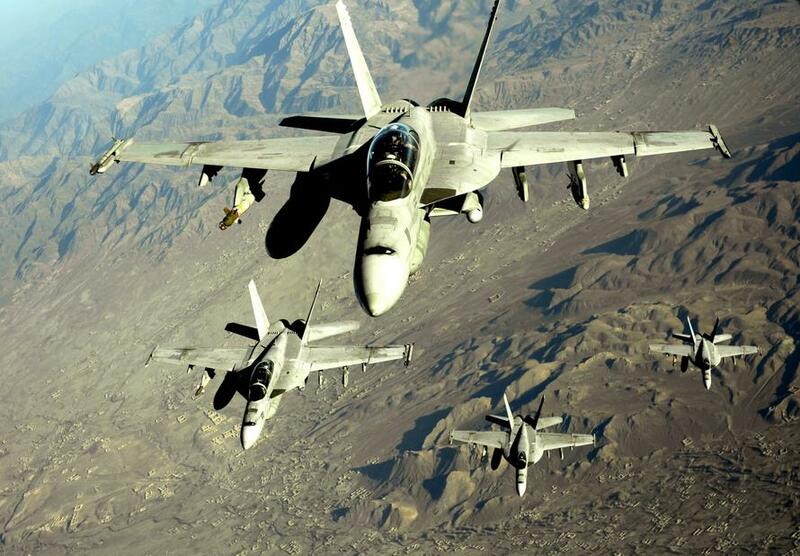 The unclassified data also shows aircraft operating under the Combined Forces Air Component Command flew 8,196 sorties in 2018, more than double the amount of amount of sorties in 2017. During the record year of Afghanistan bombardments, President Trump in December instructed the Pentagon to remove troops from Syria and dramatically reduce their numbers in Afghanistan. The increased bombing runs could be explained by the Trump administration trying to finish the job, which one of his campaign promises was to end the wars in the Middle East. President Trump received broad bipartisan criticism over his troop reduction plans in Afghanistan, where they have been stationed since 2001. Even as airstrikes hit a decade-long high, the Trump administration has signaled renewed interest in peace negotiations with the Taliban, a move that could potentially end the 17-year-long war. "In Afghanistan, my administration is holding constructive talks with a number of Afghan groups, including the Taliban," Trump said last week during his annual State of the Union address. "As we make progress in these negotiations, we will be able to reduce our troop presence and focus on counter-terrorism. We do not know whether we will achieve an agreement -- but we do know that after two decades of war, the hour has come to at least try for peace." President Trump has taken an anti-war stance on the conflicts in the Middle East, but government data now shows his plan on ending the Afghanistan conflict is to bomb the country into oblivion so the Taliban want to negotiate.